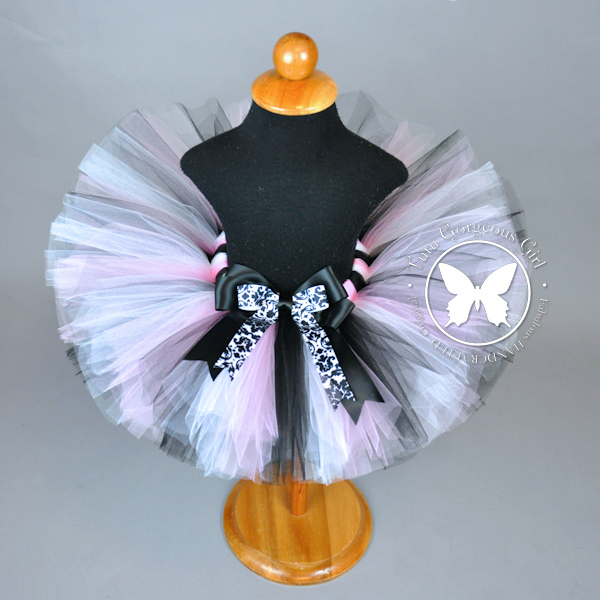 Girls and women's black and pink Paris birthday tutu. 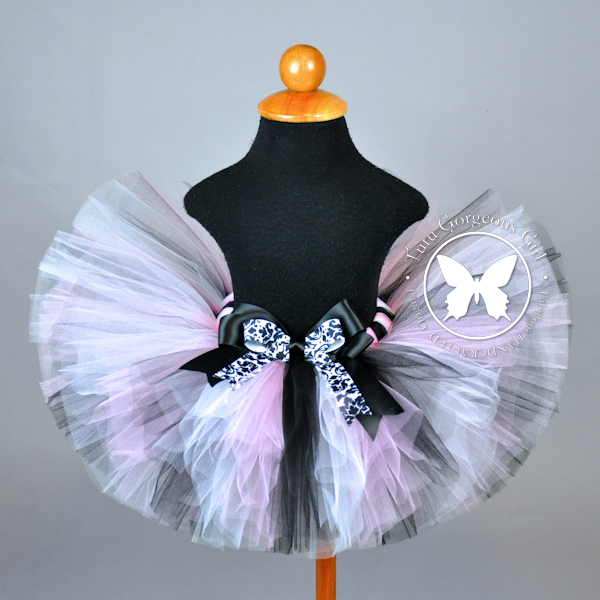 Light pink, black and white tutu features a black satin and black and white damask layered bow clip at the waist. A perfect tutu for a Paris Pink theme birthday tutu, cake smash tutu, or baby's first tutu gift.